“Thanger Dangers” (A.K.A. 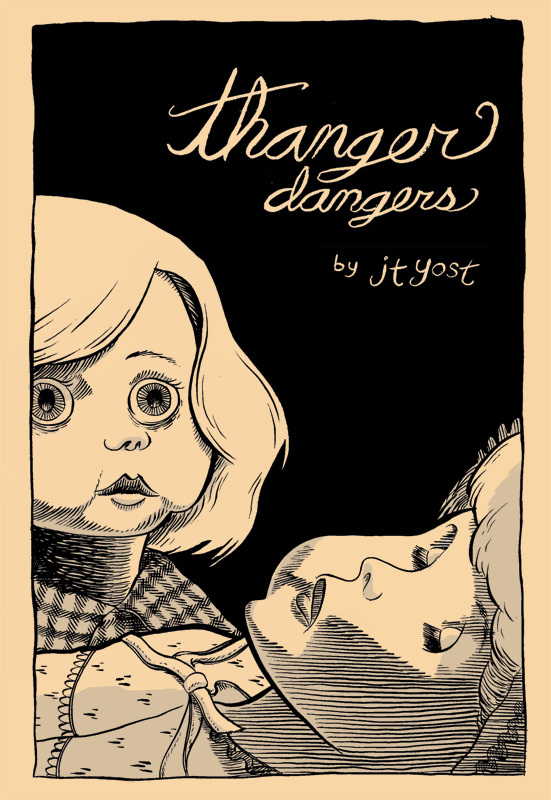 “Thinger Dingers #2) is another collection of short comics by J.T. Yost culled from various anthologies. Stories include a non-fiction account of a mysterious double death in Brazil, a brief history of mohawks, a romantic interlude between praying mantises, “hilarious vegan jokes” and much more! 5.5″ x 8.5″, 32 pages.